There are cracks everywhere, waiting to open up and disrupt supply lines and our businesses. They range from the metaphorical – your overstretched supplier or carrier – to the literal – cracks and fault lines spanning the earth and infrastructure. 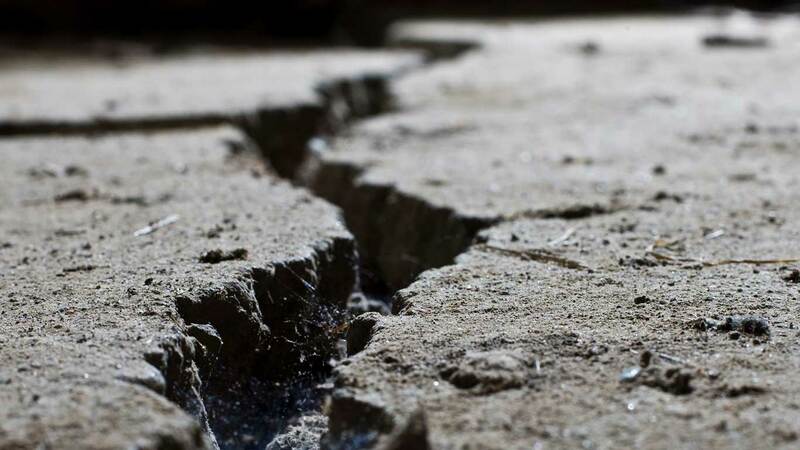 One such crack, the New Madrid Fault Zone, serves as a good reminder of the kind of challenges our businesses face. The New Madrid Fault Zone stretches across Alabama, Arkansas, Illinois, Indiana, Kansas, Kentucky, Mississippi, Missouri, Oklahoma, Texas, and Tennessee. A 2009 study by the Mid-America Earthquake Center detailed a “widespread and catastrophic” scenario in which nearly 715 buildings are damaged, 7.2 million people are displaced, and critical infrastructure is impaired including 3,500 damaged bridges. With Fed Ex’s largest U.S. hub, residing in the Memphis airport, this example highlights how any natural disaster can severely impact businesses and put entire supply chains at risk. Unfortunately, this is not a hypothetical scenario. In the winter of 1811, the New Madrid earthquake struck with a magnitude 7+, and the quake was so powerful it diverted the Mississippi river and rang church bells as far as Charleston, South Carolina. If that was to happen today, just think of its impact on your factories and distribution centers; now factor in your displaced employees and new logistical hurdles. So how should one manage a business in the face of such tremendous destruction? For many, it is accomplished thanks, in part, to cloud-based, digital networks such as One Network’s Real Time Value Network, which provides the entire community with multi-enterprise functionality, services, and security with special emphasis on supply chain visibility and executional processes. 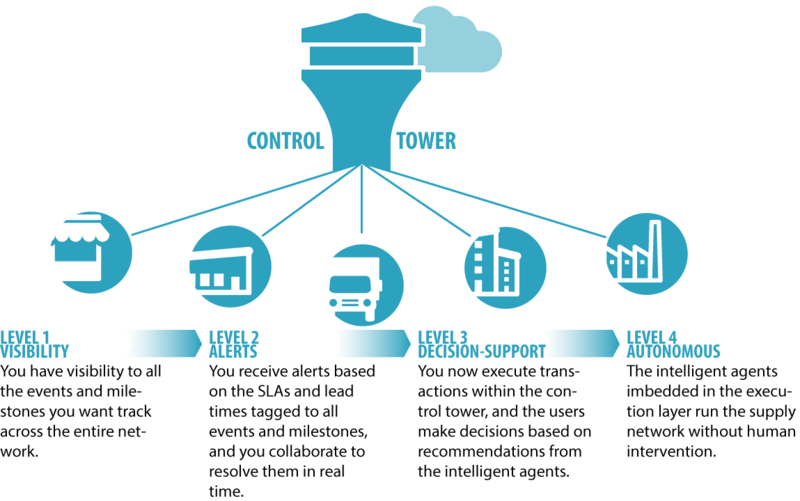 The 4 Stages of Control Tower Deployment: Control Towers can be deployed in stages for rapid and high returns at low risk and with minimal disruption to your business. Learn more about the requirements of an effective control tower here. 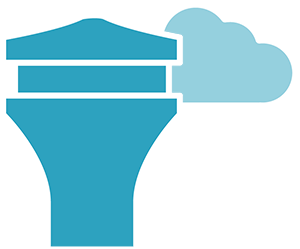 Enables businesses to instantly mobilize and orchestrate partners at any given moment. Leveraging the power of a network, manufacturers can tap into an existing ecosystem and engage new partners rapidly so they can quickly respond to any changing business requirements. Ensures all stakeholders are kept appraised of rapidly changing events. Unlike antiquated ERP systems, a network puts all of your partners on the same page so that information is conveyed in real-time. Everyone has visibility to the rapidly evolving situation and understands what the requirements are at that moment. Agility is critical – otherwise time and money are wasted. Supports a single version of the truth. Disasters magnify existing communication challenges; however, a network ensures that all partners have access to a single version of the truth and are working towards common goals. For example, in addition to your own disruption it is fair to assume your customer’s needs will be changing too due to the disaster and you need to be able to stay focused on their needs and orchestrate your business to help. Allows all parties to prioritize activities. This is certainly one of the biggest challenges organizations face in times of disaster. To begin, needs are typically siloed, which means that its difficult for the business and its partners to aggregate and evaluate them in totality. A network allows you to aggregate and prioritize, because it can provide true visibility to the highest priorities. After-all, in times of disaster what is needed today is different than what is needed tomorrow, next week or even next month so organizations need to have the ability to pivot one a dime to keep up with customer demand. Enables real-time collaboration. With rapidly changing requirements comes the need to work together. A network facilitates communication to ensure everyone is on same page and can work together in real-time and solve pressing issues. Intelligent and autonomous agents. Modern control towers like One Network’s, include intelligent and autonomous agents that continuously scan and identify pending problems and resolve them or recommend solutions well in advance. When supply lines are disrupted, they can automatically reroute supplies from alternative sources, or recommend alternative courses of action. Learn how Imperial Logistics uses a Control Tower to enable real-time visibility and collaboration, and is building a more secure and responsive supply chain. As a business, orchestrating your network is difficult in peaceful times never mind in times of disaster. But that is not the only threat. In today’s fast-paced business world, disruption from companies like Uber, Netflix and Amazon are unending traditional approaches and are revolutionizing long standing markets. Using a similar network approach, their agility and responsiveness is meeting customer’s needs in ways we never imagined. Preparing for disruption is as important as prepping for a natural disaster, and networks are proving to be the insurance that businesses need to ensure they survive any catastrophe – whether a natural disaster or a pending disruption from your competition. To learn more about what makes a digital network unique, I recommend reading the post What Constitutes a True Network? For more information on Control Towers, I recommend our Control Tower tech brief, it’s a quick but educational read. Pingback: What if the United States broke in half? Is Your Company Ready in the Event of a Catastrophe?